Chinese myths ascribe all the gifts of civilization to god-kings who used their magical powers to improve the lives of their people. 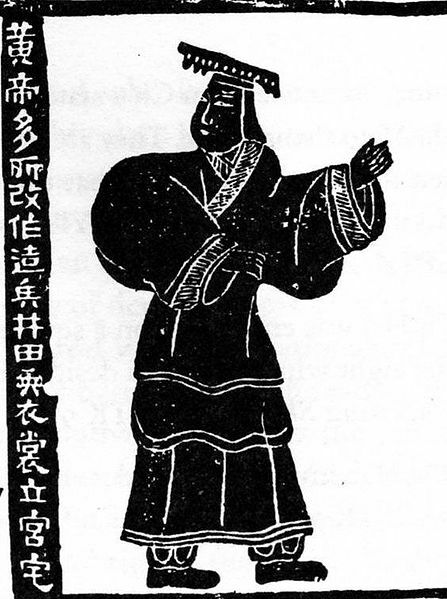 Chief among these was the Yellow Emperor, or Huangdi. The gene named for this culture-bearer characterizes 30% of Chinese Han and up to 31% of Tibetans. It is uniformly and thickly sown throughout East Asia, averaging 25% of the populace. Distinctly non-African, it is low in Europeans, although certain groups like Majorcan Jews have it in relatively high amounts. Strangely, it appears in 28% of Navajos and Apaches. Its worldwide incidence is 15%. You are twice or three times more likely to have it if you are American Indian or Asian than if you are African. 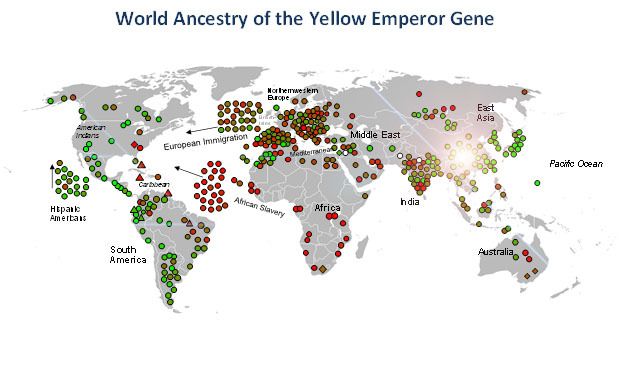 The Yellow Emperor Gene is common in East Asian and Native American populations.